Hayward Perflex D.E. Filter System, 25 square foot with 1.5 HP Pump. Perflex filters are performance matched with the new Power-Flo Matrix pump series to ensure a system that maximizes its filtration ability. 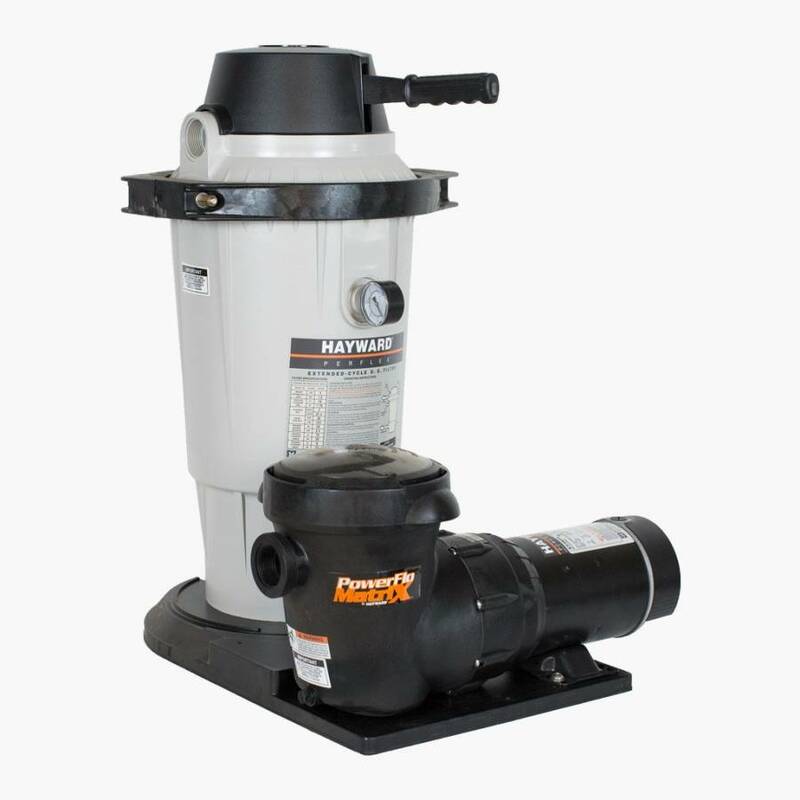 These advanced filtration systems are designed to operate with less resistance than conventional units, thus producing more filtered water with less pump horsepower. Quality, value, dependability and sparkling clear pool water are the Perflex system trademarks. Diatomaceous Earth media filter system designed for above ground pools. Advances in media technology and balanced flow design provide dirt loading capabilities up to 15 times greater than sand filters of equivalent size. Virtually maintenance-free operation for today's pool owner. Click here for a Perflex Filter System Owners Manual. 25 Square Foot Filter with 1½ Horsepower Pump. Corrosion-proof, ABS modular platform base. System is single carton unit and UPS shippable.